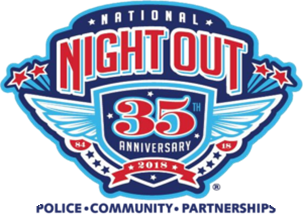 Lampasas PD has announced the upcoming Annual National Night Out event at HEB on Oct. 2nd. They say it’s the 35th year of the event nationally and Lampasas has turned it into a fun local event for the past several years. This year’s event will run from 6 to 8pm and include music, hot dogs, etc. and a bounce house for the kids - that, along with the fire trucks and numerous displays and booths manned by local law enforcement and emergency services.